Hummus is simply a dip made from chickpeas. Many hummus recipes also use tahini, which is just a paste of oil and ground up sesame seeds. 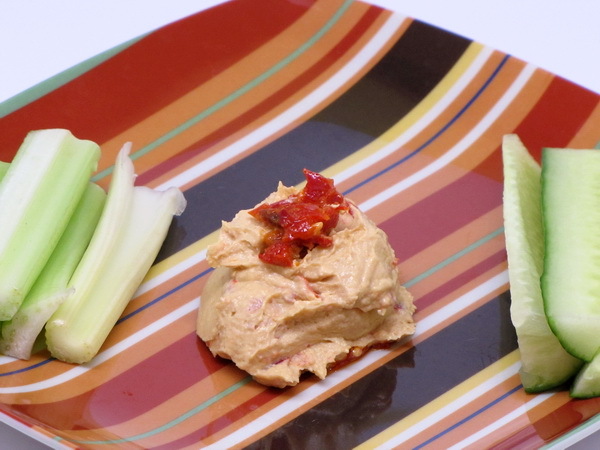 Many of the store-bought hummus dips are downright delicious – all the different brands have different consistencies so sample a few and find the one you like. Some are creamier, some are grittier, and some are more spicy than others– and if you can’t find one you like, make your own !